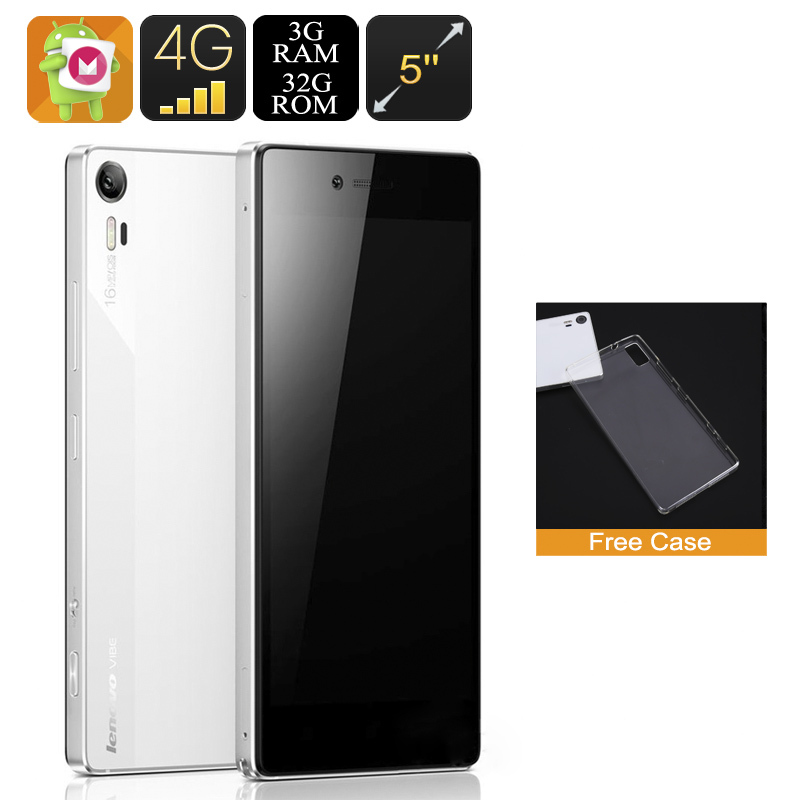 Successfully Added Lenovo Vibe Shot Z90-7 Smartphone - 5 Inch FHD IPS Display, 16MP Camera, Snapdragon CPU, 3GB RAM, 4G, Android 6.0 OS (White) to your Shopping Cart. With an impressive 16MP BSI (Back Side Illuminated) sensor and triple LED Flash the Vibe Shot from Lenovo with its eye-popping camera is certainly one for the photographers. An above average 6MP front-facing selfi cam is sure to make this an attractive package for social media lovers as well. However, it's not just the cameras on the Lenovo Vibe Shot that impress, the phone is certainly above average with its many other high-end features as well. The Qualcomm Snapdragon 615 processor brings octa-core processing and with 3GB of RAM it has all the power you could need for HD media and demanding games. Running on an Android 6.0 OS with a slightly modified UI you have a sleek system to interact with that brings smooth operations and great support for a host of apps and games. A 5 Inch IPS display on the Vibe Shot delivers full HD (1080 x 1920) resolutions that results in a 441 pixel per inch density. This ensures a sharp crisp image that will impress with its brightness and color depth even outdoors so you can enjoy a rich viewing experience no matter where you are. With its wide-ranging 2G, 3G and 4G supported frequencies this 5 inch Smartphone brings superb network coverage and incredible download speeds fast enough for you to stream high definition movies, so now you can enjoy the latest films, catch up on that big sports match and keep entertained on your daily commute. Packing a 3000mAh battery is a nice feature on the Vibe Shot Smartphone and means you can enjoy good usage times whether watching movies, playing games or calling friends. With its aluminum rim and glass rear combo, the Lenovo Vibe Shot has a premium feel that also offers great toughness. This modern appearance provides a firm grip so it sits nicely in the hand and is a joy to use, coming with a 12 months warranty and brought to you by the leader in electronic devices as well as wholesale Android smartphones..